This EA using a powerful AI algorithm which trying to simulate a human trader behavior. 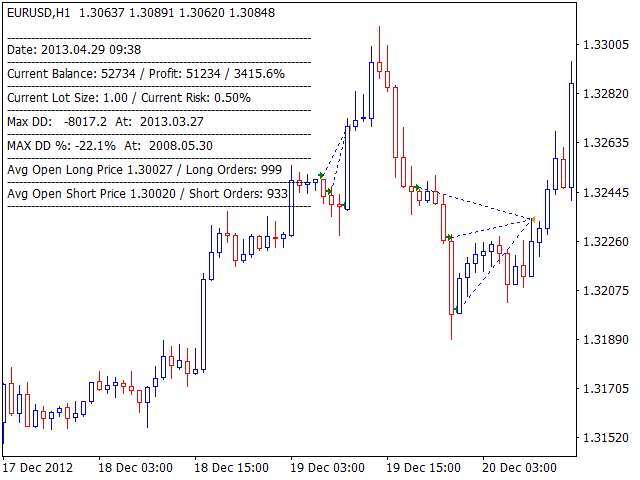 in order to identify repetitive patterns , whether it is a trade setup or managing the risks of an existing trade. to trade on its own with very impressive success rates. The EA use a grid (an averaging down money management) to manage the trades since the AI algorithm found it very useful with high success rate. The EA survived a very tough backtest with 1000 ms slippage, 8$ commission and variable spread, SWAP costs and all this from 2003 till today! The EA will not trade each day, it will enter a trade only if he found that the success rate is more than 85 %, you can check in backtest and you will see days without trades. Minimum Capital : 1500$ USD - A MUST for each 0.01 starting lot! if using also on other pairs , you should have additional 750$ at least per pair in order to have enough buffer. Risk to use (MM): Low Risk (0.01% - 0.5%, DD expected ~17%) | Medium Risk (0.51% - 1%, DD expected ~35%) | High Risk (1.01% and up, DD expected ~55% and up ) , all based on history! The Spread is playing a big role determining if there is big events (news) soon, because normally brokers expands the spread before important events, so please keep the Max Spread parameter low (as the average day to day spread). Broker times must be GMT +2 only, so for example if your broker is GMT +0 in the parameter GMT_Offset you must enter -2, if your broker is GMT +2 you enter 0 at the gmt offset and so on. please test in the backtester to understand this impact. Magic - EA's unique magic number , must be different for each currency. 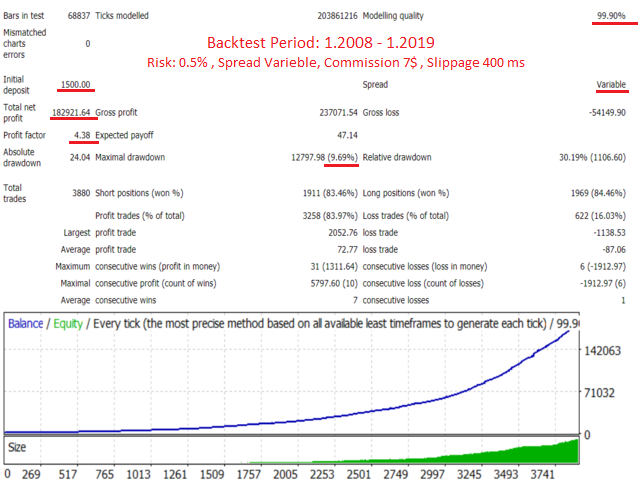 Show_TakeProfit_Line - Line that shows what is the average open price and the expected take profit place. 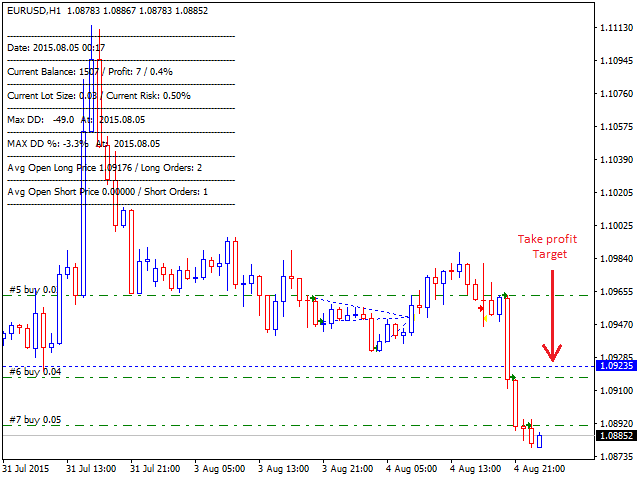 Grid_Step - The min distance between each new trader , represent as pips not points (ex: 5 = 5.0 pips). Grid_Size - The Lot incremental for the next order (Multiply by the initial Lots). Grid_Max_Trades - The maximum open trades in the same time. Max Lot - Maximum Lot allowed to be open at the first order only. Use_BreakEven- Option to use BE , true of false. 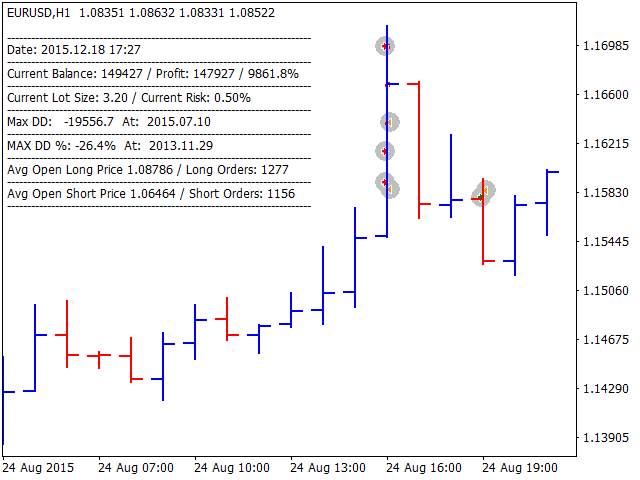 Move_To_Be_After- profit value to move Stop Loss to BreakEven To in pips. 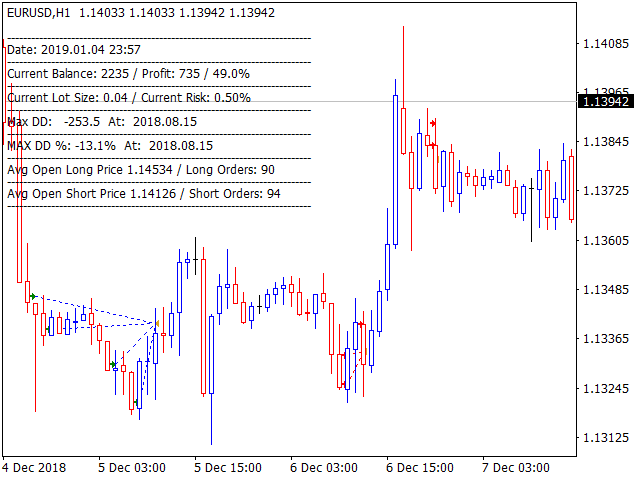 Pips_To_Move_To_Be - profit protected by Breakeven. Risk - percent of risk to calculate the lot for the first trade. Capital Allocation - Make the EA thinks you have a different capital from the actual , 1 represent 100% of capital , 0.5 represent 50% and so on. Lots- Initial Lots to use (also for Grid Step Factor). GMT_Offset - as per the comment above in grey. Just rented for the month, impressed by the backtest. From what I can see, the backtest matches the live results. I will be running all 3 pairs on this account from the new update. EU, UC, GU. As always I will have a link for myfxbook account. This demo will be running at $1500 Equity. Keep risks low and this should be a highly profitable EA for us to work the markets with peace of mind. Perfect Ea with excellent result on backtest. i'm going to set it on my live account. i will update my review later. I really like how this EA is developed, using a neural network to find profitable market patterns which also keeps on evolving and ensuring more profitable updates, promising backtests for all dukascopy database since 2003 using tough considerations at 99.9% quality database, full floating spreads, swaps costs, expensive 8 usd commissions, 700 ms slippages on all execution order types and simulating market execution restrictions. Highly profitable so I think it is worth the risk! I rent the EA and have it now life on my icmarkets account with very impressive results. The Author is very helpful and willing to add new features. Will update after a few weeks but for now 4 stars. The last star i will give, if the EA proceed further like he is doing now. Update 25/01/19 : The EA still works excellent. I can recommend this EA! Very good Work Rohi !! !